In contrast to residential properties, the stakes are generally higher in a commercial property; since commercial tenants generally pay higher monthly rents. As such, any property owner would not want to terminate the mutually beneficial landlord-tenant relationship, but unfortunately, this relationship can turn sour pretty quickly due to disagreements on a wide range of concerns. The tenant may not pay the rent on time, or refuses to oblige by the rules in the agreement, or does not treat your property well. While a civil agreement can generally be reached through discussion between the two parties, there are times, when you’ll have to resort to the last of your options – an eviction. Evictions are bitter, time-consuming, and legally-taxing processes. Once the legalities are sorted out, your ordeal doesn’t end there; you’ll have to revamp your security to prevent the evicted tenants from gaining entry again. Beverly Locksmith Store can help you with the latter, by providing hassle-free commercial eviction services. Why should I secure the premises? Considering the manner in which the terms with the previous tenant were ended, you can hardly expect there to be no animosity between the two parties. Ex-tenants may bottle up vengeful feelings that could be relieved by bringing harm to your property, one way or the other. The tenant could easily gain access to your property using any keys that were not handed out or were copied without your explicit knowledge. For this reason, once the eviction is carried out, it’s inevitable that you revamp the entire security infrastructure of the premises by hiring commercial eviction services. Should the locks be changed? Any random locksmith that you hire for commercial eviction service , may convince you that the answer to this question is a yes, but our locksmiths will tell you otherwise. If your locks are in good condition, then they could be rekeyed. 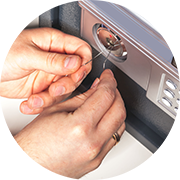 The procedure is quicker and several times cheaper than a replacement, rendering any old keys to the locks inoperable. 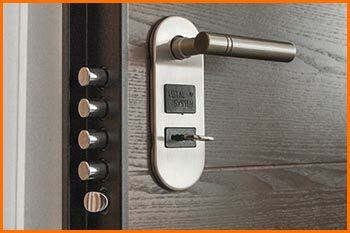 Only if your locks are damaged or obsolete, a replacement is recommended. Want commercial eviction service before the new tenants move in the next morning? We can help you there! We work 24/7 and can provide services at a short notice. Our technicians arrive on the scene armed with all the essential tools, locks, parts etc to carry out the job. Depending on the size of the establishment, the time taken to complete the procedure will vary. We generally get the job done within 1-2 hours. For super quick, hassle-free and affordable eviction services in Beverly, NJ area, call 609-495-9000 !